The Mississippi River, now reined in by levees, once flowed wild and boundless. The river wound its way through towns whose residents — perhaps inspired by its symbolic freedom — created American music. 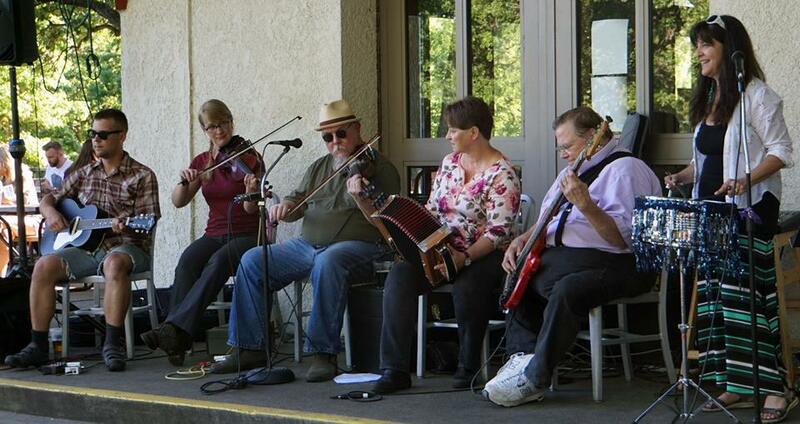 In Louisiana that meant Cajun music, among other traditions. While it’s obvious to those of us who live here that the cultural imagination of the Mississippi is still as wild as ever within our music, it turns out that the same can be said along the waters that feed the Mississippi at its source–Minnesota. If you don’t believe me, go ask Karl Smelker. Karl is a Cajun bass player and DJ who resides in Minnesota’s capital city, Saint Paul. For several decades now, Karl has appreciated Louisiana music from afar, helping to form a tight-knit community of Cajun musicians and dancers in the Twin Cities. Karl first learned about Cajun and Zydeco from his musically-inclined friends, including an Opelousas-native named Millie Ortego, and a Minnesota band called the Bone Tones. These early devotees brought Cajun music to the Twin Cities through regular dance nights. It was Millie who encouraged Karl to travel to Elkins, West Virginia for the Augusta Folk Heritage Workshop, a trip Karl now considers to be the moment he fell for Cajun music. Karl immediately connected with the workshop’s Cajun music teachers, who traveled across the country to be there. “They had classes all day, and you could play all night,” he reminisced. The workshop life became so nocturnal that Karl found himself a bit behind on sleep. One night, he and his wife Deb decided to call it a night at the modest hour of 2:00 AM, when a woman asked if he would come play, to which he respectfully declined. A moment later, Deb realized something he didn’t. “She said, ‘That’s Christine Balfa, the Queen of Cajun Music. She just told you to come play. Don’t come back to the room — go away!” So Karl stayed up all night playing with Christine, her father — the legendary Dewey Balfa — along with several other virtuosos. In the nights that followed, Karl performed at the workshop’s dances and returned to Minnesota with a newfound appreciation for the Cajun tradition. Since then, he has been at the center of a loyal Cajun music community in Minnesota that eventually made it to the airwaves. Bearing the motto “Radio Without Boundaries,” KFAI is a community radio station on the West Bank of Minneapolis. As the station began to diversify its programming, Karl’s friend Millie brought together a group of DJ’s to host a Louisiana music show. Karl lent his voice and record collection to the airwaves in a rotating slot on Friday mornings for about 20 years before the show signed off for the last time. The Cajun tradition lives on in Minnesota, thanks to Karl’s band, the New Riverside Ramblers, along with the Twin Cities’ very own krewe. The Krewe de Walleye supports Cajun music through local shows that spotlight Louisiana musicians. Walleye even puts on a Mardi Gras party that, unfortunately, fails to ever fall on Fat Tuesday. But 12 years ago, Karl launched a true Mardi Gras blowout that struck a compromise: it remains friendly to the Midwestern sleep schedule. “Minnesotans have trouble really closing down on the middle of the week. But we’re slowly getting the idea. We finish it up by eleven, so people can…” he trailed off in laughter. If you find yourself in Minneapolis, Minnesota, you can catch Karl and the New Riverside Ramblers at the Eagles Club, where there is a rotation of Louisiana music groups playing every other Monday and every Thursday.